This is our wardrobe, giving us the usual blank stare of a functioning piece of furniture. But occasionally, when they have been taken for granted, over-stuffed with non-clothing items for too long, piled high on top with unneccessary rubbish and crammed below with things that really should have been put somewhere else... they let their true feelings show. A single tear and a quietly sad mouth may be the only signs you get that your wardrobe is in need of some TLC! Don't be unkind to your wardrobe. Have a Spring Clean and show it that you care! Star TUGS and Zed Stacks! The First Set. These, as promised but a day late, are the first set of TUGS I made for my son, who is generally obsessed by many things from years ago where toys can no longer be purchased (or never could). He always has great faith I can make them for him and generally accepts the results without comment (good or bad... that's Autism for you). Here's an aeriel shot, artistically arranged by his sister, who was about to tidy them up for him before I shouted "Wait! I have to photograph those for the blog before you clear them up!" Being balsa, one clumsily placed foot and they are matchsticks! These are the Zed Stacks (Boo, hiss), arch rivals of the heroic Star Tugs below. Zed stacks and their owner tend to be unscrupulous and obsessed by nothing more than proffit! The Star Tugs, by comparison, are honourable and try to do good to everyone, even when that entails considerable personal cost or risk to their own safety to help others (HOORAY!) ! OJ is a wise old timer, Lilly Lightship the only female (and sounds like a bit of a siren when she talks: the alluring kind not the alert type!!) and Grampus is an old military submarine: outdated and due for demolition by explosion by the heartless Naval Powers That Be (OH NO I hear you cry...Surely not!...Can nothing be done to save him???). There are episodes from fellow addicts to be found on Youtube so my son is not alone, and nor would you be if you join the ranks of the faithful, or the just plain curious! Yesterday I showed you the start of the process of making TUGS (the boats from the TV series. Today I'll show you the finished articles. As the title says, these are actually the second set of TUGS, those missing from the first set, which I discover I haven't shown you. So you can see the second set first and the first set second! I found pictures of the characters on Google images and copy and pasted them onto a document so I could reduce and print them and get the likenesses easily. This one is Izzy Gomez (who I now discover is also a singer...confusing). Then I laid the boats on their images while all the gluey bits dried before painting them in acrylics. That made sure we got them the right colours when we painted...I say 'we' cos boy helped too, liberally slathering every wooden inch in clumps of paint. If a job's worth doing (ie forced into it as a half term activity to get you away from a screen) then it's worth doing generously in the hopes it'll be over quicker! And here are some of the finished TUGS: Dixon, Wilbur, Gaz, Fire Tug, Billy Shoepack and Boomer. The background is a large sheet of mountboard painted with the features mentioned in the videos: Captain Star's harbour, The Zed stacks area, the open sea, Lucky's yard, the docks and 'up river'. I made this last time around when I made the first set. A veritable flotilla or maybe its the Regatta from one of the episodes!! A long time ago, in the heyday of videos rather than DVDs, there existed on TV a series called TUGS. It was made by a man who'd worked on Thomas the Tank Engine model animations and it shows. It's like Thomas on water with boats (although the morals and lessons are a little more heavy handed and grandly delivered). My son loves it, but very few toys of it were ever produced and... well you know his proclivity for collecting whole sets. Time to get out the balsa wood and get cutting! It was a mixed pack of Balsa from Hobbycraft which, unfortunately, didn't include the same shaped mixed pieces I've had on previous occasions, leading to much more sawing and scalpelling than when I made the previous set (did I show you those? I'm losing track of what you've seen and not seen). Here's the first stage of roughly shaped boat. The balsa was very soft, so difficult to cut smoothly. I found images online of the required TUGS to complete the set, then copy and pasted their faces onto a document to reduce and print out (no point making it hard for myself trying to get a likeness). I don't know what you'd call these. They're really easy to make, so if you're contemplating having a go with Sculpey, or just looking for an idea for the kids to do with their Plasticene, then these are good fun and cute. They are just a shaped blob (a little reminiscent of the Babapapa cartoon from my childhood) with beads for eyes and a smiley mouth pressed in using a curled piece of wire. These are pressed onto a smooth stone and if they pop off after cooking and cooling, can always be glued back on with UHU. If you are too young to remember Babapapa, here's a pic and I expect clips of their genius can be found on youtube, the home of everything we thought (or hoped) we'd never see again! I ofetn mention Sculpey, although I haven't played with the stuff for far too long. So here's a pic from the archives to show what can be done when you combine it with the tiny terracotta flowerpots you can buy (that are far too tiny for plants to grow in). 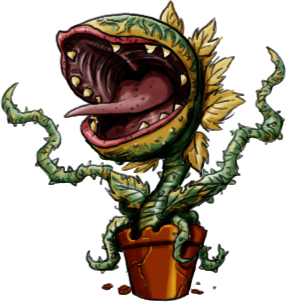 Actually, having been to see Little Shop of Horrors, wonderfully put on by our local secondary School and starring some of our youth group kids and young leaders, I quite fancy getting the Sculpey out and making Audrey II from it! At the youth group we run, we always try to provide a craft that will appeal to the teens but also be fun for the leaders to join in with. This time, with Valentine's Day fast approaching, we bought fabric hearts for them to decorate with felt pens, buttons or sequins. My demo model HAD to be Dr Who related, to show that you didn't have to make it for a boy, a girl or even anyone else at all (and NOT just cos I'm Dr Who obsessed!!!). and a few romantic candlelit ones! Well done if you survived another Valentine's Day, with or without a Tardis to love. Here's a post especially for Valentine's day. As you know , I love to make things in 3D. My husband, on the other hand, is a thoroughly 2D artist (although he shades so it appears 3D!). Well for Valentine's day he made me a 3D shed from paper, by drawing it on an ipad, printing it out and putting himself through the tortuous process of assembling it with glue and tape. Greater love hath no husband (of mine... and there's only one of those) than to travail with 3D art to please his wife! with our initials carved into the wood. and underneath was the message about loving me 'Shed-loads'!!! When I was in 99p shop in Aldershot, looking for treasure (cos if you don't look there's bound to be some and if you look then there won't be any!!! ), I found they had bars of Dr Who chocolate made especially for the 50th anniversary. I had never seen it in ordinary sweet shops or even in the supermarkets during the celebration frenzy of merchandise. Where had it been hiding? In the end I bought 7. The packaging felt lumpy and I was hoping it was going to be shaped like Dalek eggs on the surface, but no. They missed a trick there... Dalek egged chocolate, or bars shaped like the Tardis. How can they not be making these? Fans would love it!!! Anyway it DID have a little collector's card in it. I got Christopher Eccleston, my husband got David Tennant. I'll just have to wait for the others to receive their presents and open them to find out what they got. I know what you're thinking... this woman is obsessed with Jack Sparrow and seems to craft something Pirate-related in every different type of craft material... so where is the Jack-related Friendly Plastic??? 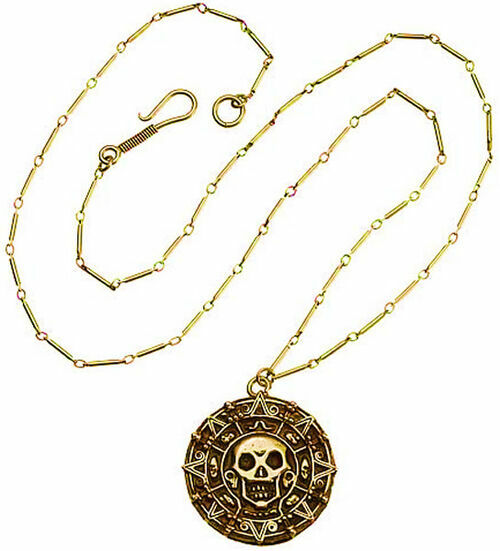 My daughter bought me back a pirate medallion like the one Elizabeth Swann takes from the boy Will Turner and is a piece of the gold from the Isle de Muerta. She (daughter not Miss Swann) was on a school trip to Paris which took in a visit to Euro Disney and she thought it would make the perfect present for her mother (she knows me so well!). I had some moulding putty so I made a cast of it. Moulding putty mixes a blue part with a white part and is a flexible piece of silicone plastic that you can push things into. When it has hardened (10 - 12 minutes) you tip the object out and have a fabulous silicone mould which can be used over and over again... for plaster of Paris, soap, chocolate, Sculpey (but don't use it for edible things after using Sculpey or Fimo in it!) or Friendly Plastic. I used Friendly Plastic and this was the result. The little black talisman and fish were made in a similar way. The moulding stuff is not cheap (about £25) but does make lots of moulds. And this concludes the Friendly Plastic Gallery (unless I find any of the little mirrors in the future). Is there any more to say about the stuff? Well there's plenty in the books and tuition things I'm sure are online, but I'll just give you a gallery of other things I found I had used it for when I turned out the drawer labelled 'Friendly Plastic'. Wooden beads for use with dangly earrings (or as I chose: flaming Samuri swords for Socklets!). Just cut really thin strips of the plastic, lay them over and heat with a heat gun till they wilt and cling on. Combined with clear Shrink Plastic. These have no earthly use but were such good fun and, as long as you are happy to be at the complete mercy of the materials and have no control over what you're going to get, very rewarding. I'll show you tomorrow or thereabouts! What else can you do with Friendly Plastic? You can press it into moulds. There are lots of moulds out there, sillicone ones are great because they are so flexible and it's easy to get the cooled model out afterwards. I haven't discovered what to do with them afterwards but have seen them made into badges. It's a good idea to rub the inside of the mould with see through embossing ink so it releases easily, but with sillicone ones it's usually fine anyway.